One of the perks of working as a celebrant in the wedding industry is that I get to work alongside (and befriend) some truly talented artists. Collaborating with Sarah Petryk of Allium Floral & Event Design — see some of her work over on our Collective page — always gives way not only to visually stunning floral designs, but also to the inspiration that comes from working alongside such a talented individual. This early December, we gathered some friends at Promise Ridge, and Sarah led us in a holiday wreath-making workshop. Of course, in true Bacon & Lox fashion, we made the whole thing into a party! Per B&L tradition, we asked everyone to bring something to share. Society friends Stacey and Laura brought their incredible pomegranate margaritas, while a special request was made for Kasey's magical chocolate chip cookies to make an encore appearance after their overwhelmingly positive reception last year. 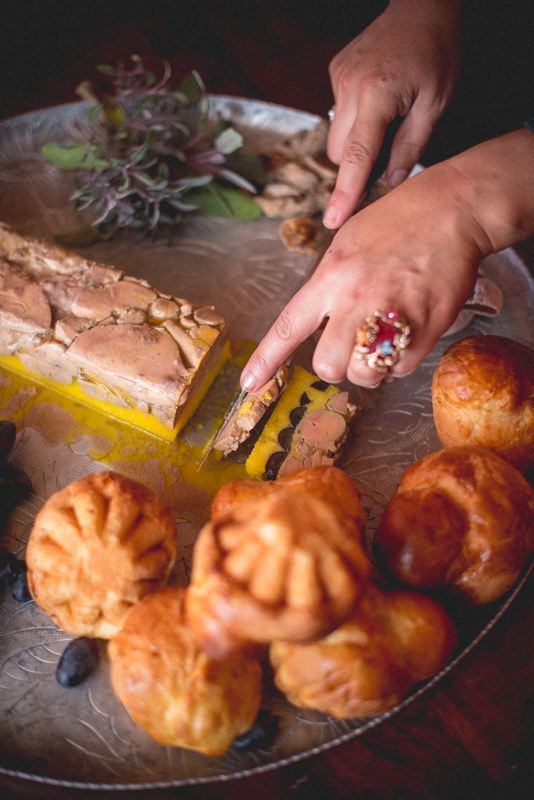 Since it was an outdoor affair, I made a foie gras terrine (thanks to my time at the French Culinary Institute's charcuterie class a few years back) and a steaming pot of French onion soup, while friends Jen and Sarah each brought one of their incredible cheese platters. And no Bacon & Lox Society gathering is complete without our dear friend Rob Yaskovic on portrait duty, capturing the action in fine form. The results were as incredible: Our wreaths wound up being as varied and personally-inspired as the food and friends we had around the table! 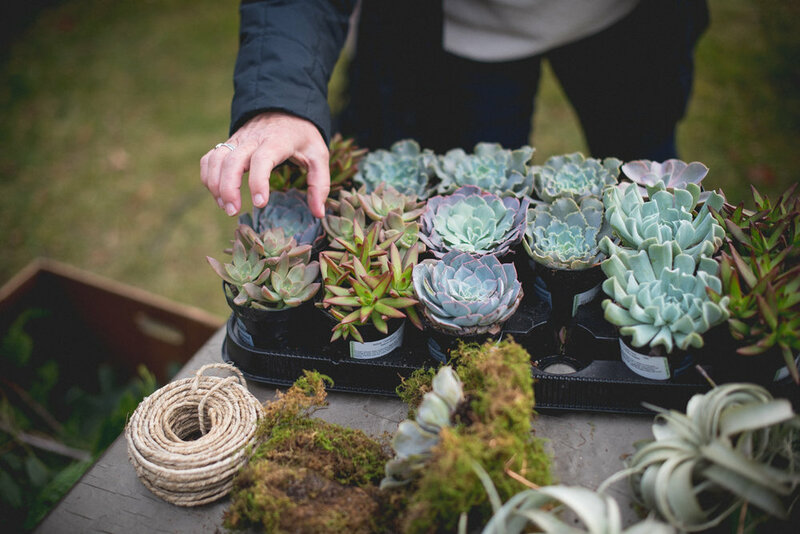 We wove in all types of crazy, fun ingredients, working with things like air plants, succulents, sheet moss, and more. Even though everyone had access to the same supplies and components, each wreath turned out differently — it was inspiring to see everyone's own unique artistic sensibilities. Some workshop attendees, basking in the holiday spirit, went on to gift their custom wreath to a loved one. My mother, who attended the workshop last year, boxed hers up and sent it to her father (my grandpa Rodney) all the way in Las Vegas. We value personal creative expansion in a big way, and our wreath-making party provided an opportunity to learn a new craft from an expert in the field. We got to bond with each other and enjoy some cocktails while learning a new skill at the very same time! When we were done, each of us took away a physical reminder of the incredible experience we had all just shared, and it was something that we'll all be able to share with everyone. The Bacon & Lox society loves togetherness, creativity, and holiday spirit...and our wreath-making extravaganza was the perfect combination of all three!